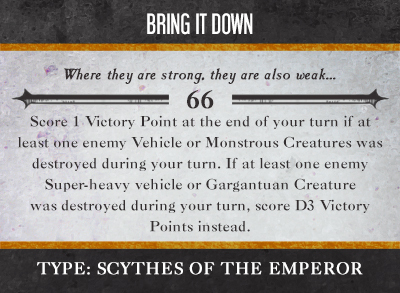 Whilst browsing ideas for the Scythes of the Emperor wargear cards, I happened upon the modern datacards – a happy reminder of second edition victory objectives. So I sat down to do some base artwork for Scythes of the Emperor Space Marine datacards to replace those in the Marine Codex, for my current edition playing Sothan brothers. In addition, I have a couple of ideas for Psychic cards, such as ‘Disrupt the Hive’ – cause a morale test on targeted swarm. Or perhaps ‘Murmurs of the Maw’ – one Scythe unit can fire at an assaulting force twice, having been prewarned. 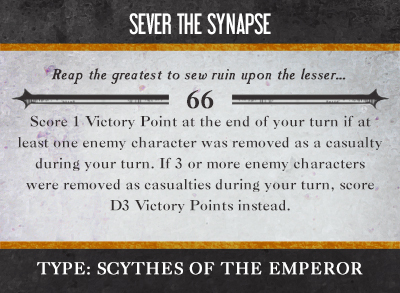 Here are two quick Victory Datacard ideas, both using 66 roll (to be edited) – what would be your idea for the Scythes as a chapter signature datacard? Look forward to my fellow Sothans’ input! Looking good. Have you got the artwork for the other side so we can see?